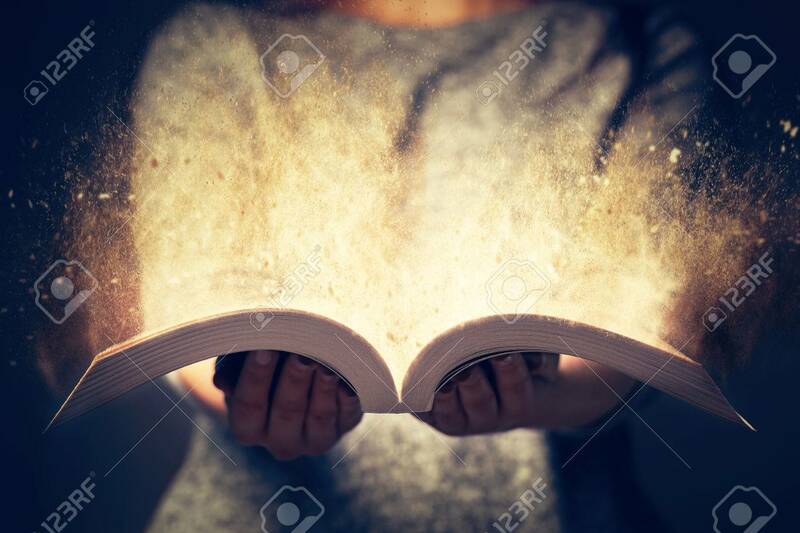 Woman Holding An Open Book With Two Hands. Light Coming Out Of.. Stock Photo, Picture And Royalty Free Image. Image 75014943.